What do a tropical island in the Pacific Ocean and the Antarctic have in common? Unfortunately, it’s marine debris. Even the most remote locations on Earth are fouled by man-made garbage and cast-outs. And a majority of the debris that’s found comes from land-based sources. In one marine protected area off the Northwestern Hawaiian Islands, in just one month, 50 metric tons of debris was collected. That’s equivalent to 50 elephants worth of trash. This small sample speaks volumes about the magnitude of this problem. Marine debris is everywhere. It’s sitting on the bottom of the ocean, suspended in the water column, floating on the surface, and lying on the beach. And no matter what location it resides, it causes problems. Animals get entangled, trapped, and killed. They ingest fragments when feeding, which can cause sickness and death. Corals get smothered, causing major disturbances to entire habitats and ecosystems. Boats face navigational hazards, like having their propellers damaged. 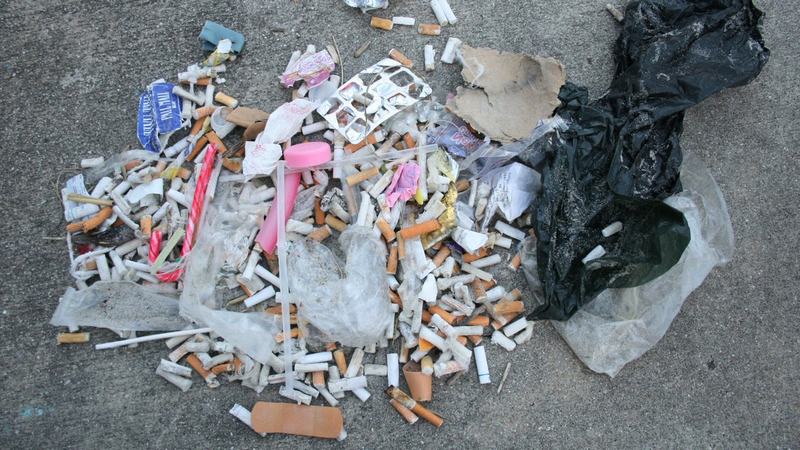 Cigarette butts, plastic bottles, and plastic bags litter beaches. Debris also causes injuries to swimmers, divers, and beachgoers, and can cause areas to close due to pollution. The tourism industry suffers because of these things. There are no easy solutions to the worldwide problem of marine debris, but there are things you can do to help. Since we caused it, we have a responsibility to clean it up. We can recycle more, volunteer to clean up coastlines, and give support to programs that are tackling the issue in creative ways. Take the time to research what events and actions are going on in your area. Ultimately, the most effective way to reduce our waste is to not create it in the first place. Our islands and icebergs should have one thing between them in common: debris-free water. No matter where you live, you can help prevent marine debris. Each year, Ocean Conservancy sponsors the International Coastal Cleanup. Volunteers from around the globe participate, clearing tons of trash from coastlines, rivers and lakes.